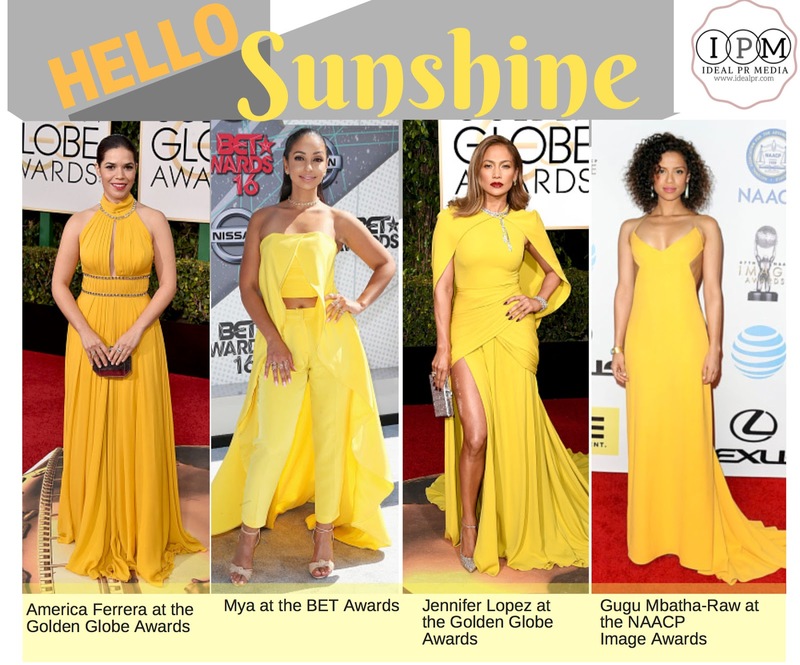 Yellow is one of my favorite red carpet colors. Every now and then, a celebrity's stylist takes a left turn and the outfit comes out all wrong. Not the case for these 4 beauties above who walked the red carpet in 2016 at major awards shows shining brightly. Of these ladies were America Ferrera, Mya, Jennifer Lopez and Gugu Mbatha-Raw. They all get 10's in our style book. Whose look do you adore the most?